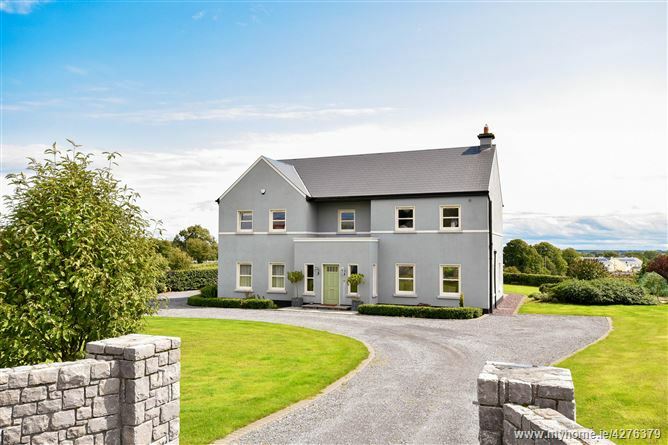 Mullery Auctioneers are proud to welcome you to this stunning detached residence situated on a beautiful site on the edge of Monivea Village. 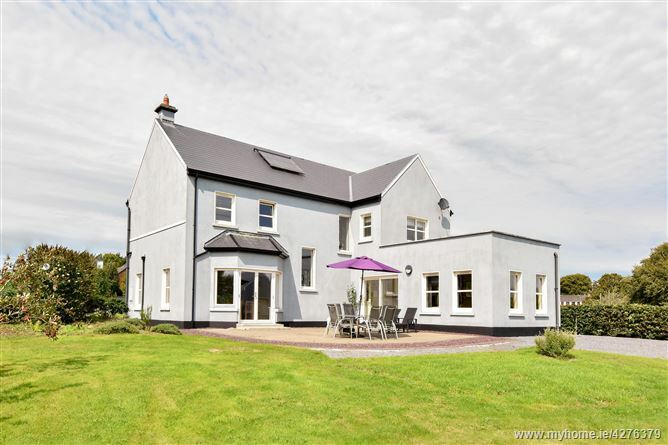 The owners have spared no expense in creating a truly magnificent and special family home which boasts a quality high end finish throughout and generously proportioned accommodation. 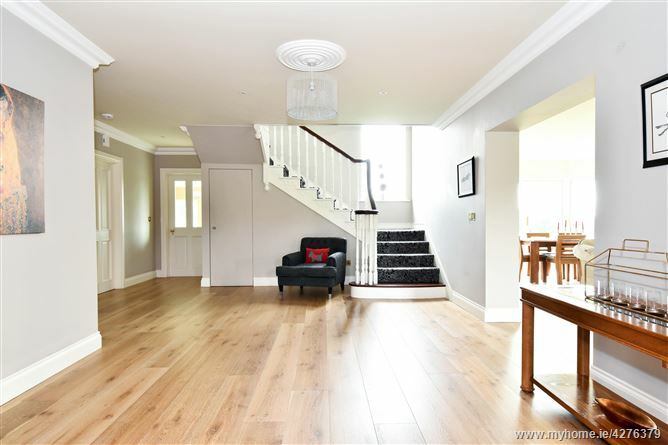 Once over the threshold of this fine home, one is welcomed by an entrance lobby opening to a large hallway with feature timber staircase. 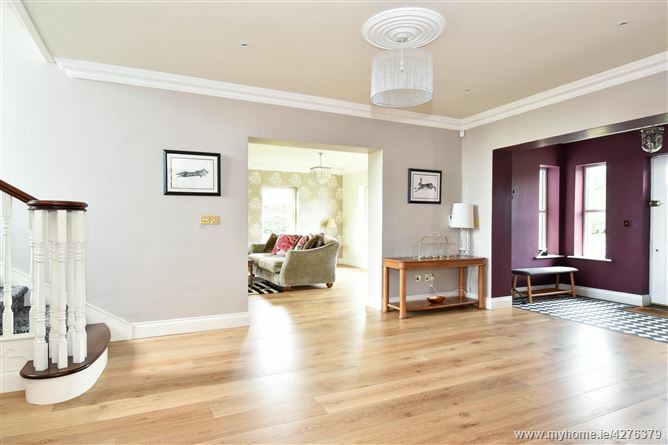 Off the hall to the right is a wonderfully spacious living room which spans the full depth of the house. 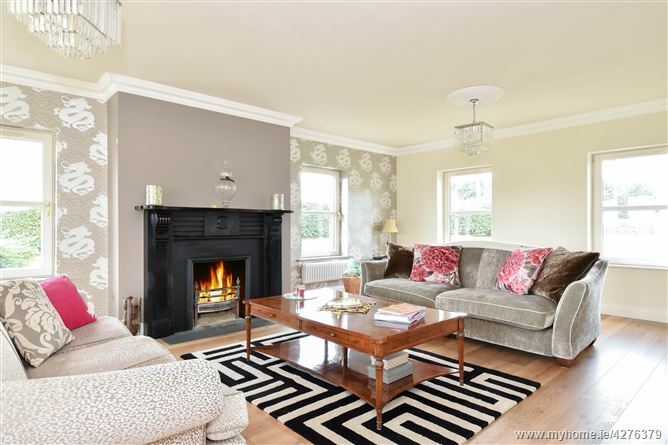 The living room features a magnificent open fireplace and wooden floors with French doors leading to the rear garden. To the rear of the house is a kitchen/ dining/ living area. 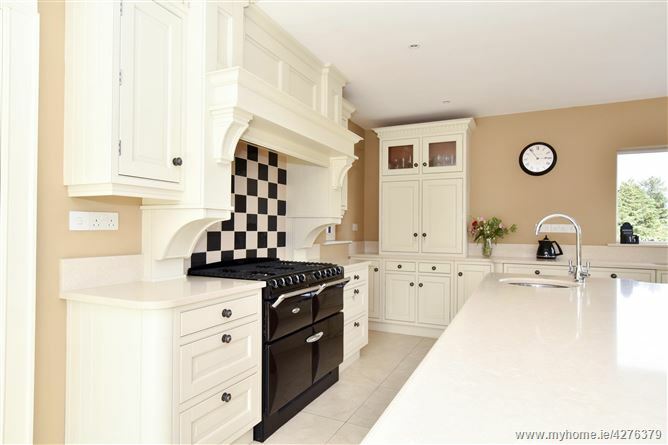 The kitchen is fitted with bespoke in-frame units complimented by a large island unit and Silestone work surfaces. 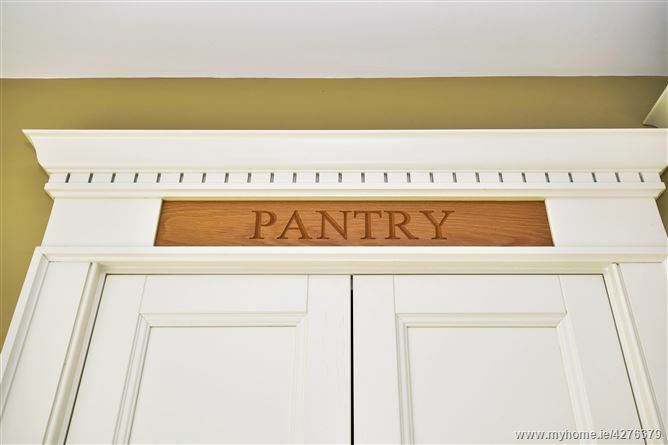 The kitchen features a ‘Stanley’ range and a stunning walk-in shelved pantry. At the opposite end of the kitchen is a living area. A sliding door leads to the rear patio. 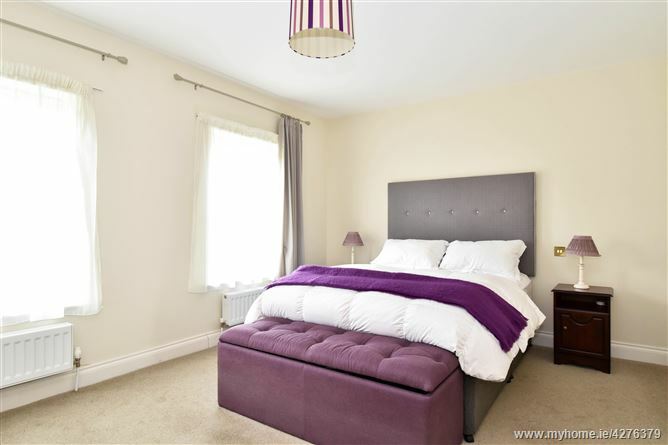 Also on the ground floor is a utility room and a large bedroom with a beautifully appointed en-suite with walk-in shower. Moving up the timber staircase, one is greeted by a spacious landing. There are 3 bedrooms on the first floor. The master bedroom suite is a stunning room which would not be out of place in any five star hotel. 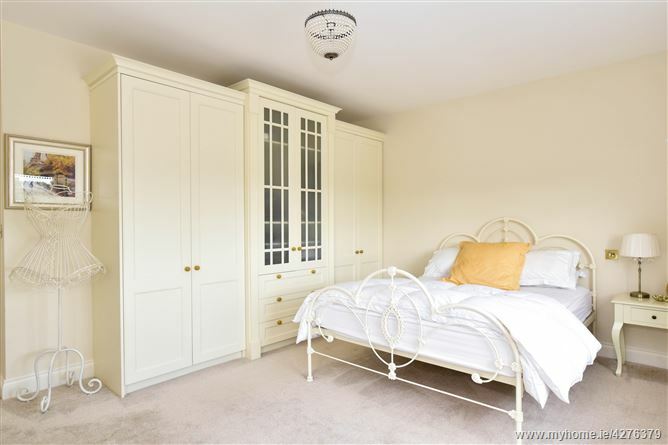 The bedroom itself is finished with a carpet floor and includes a walk-in dressing room and a luxurious en-suite. 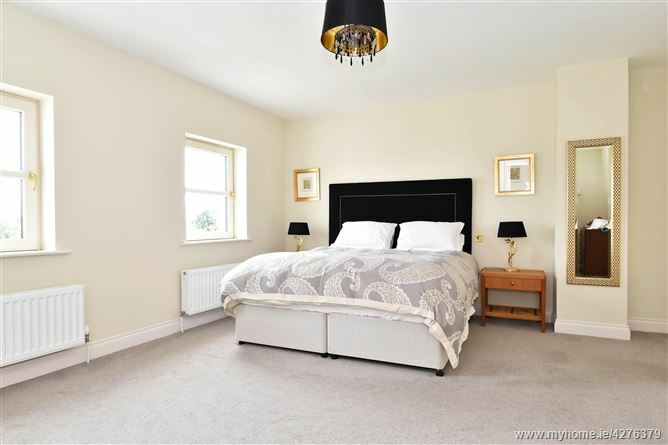 There are a further 2 double bedrooms with quality carpeted flooring as well as a small office and a main bathroom with Villeroy & Boch bath and sink and a separate shower. The residence is set on a large site with lawns to the front and rear. 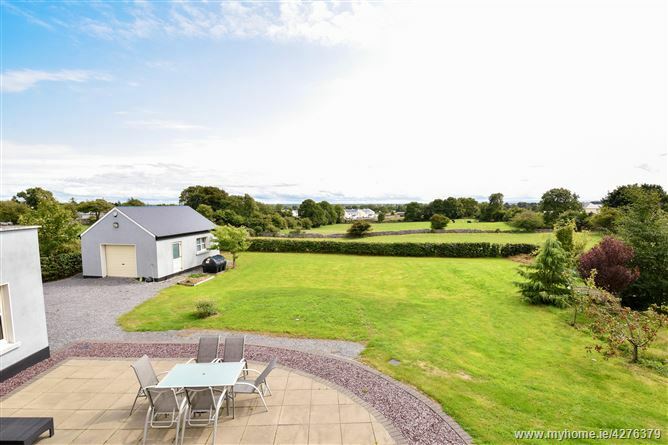 There is a patio area, accessed off the kitchen, which is an ideal place to sit and soak up the beautiful views over the surrounding countryside. There is a detached garage to the rear also. 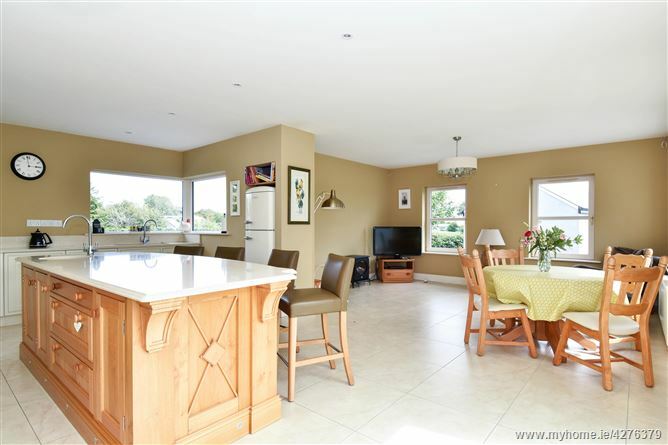 The property is situated in Monivea Village within walking distance of all local amenities and a short drive from Athenry and within easy commuting distance of Galway City. This stunning home must be viewed to be fully appreciated and can be arranged with the selling agents. Entrance Lobby: With tiled floor, ceiling coving & centrepiece. 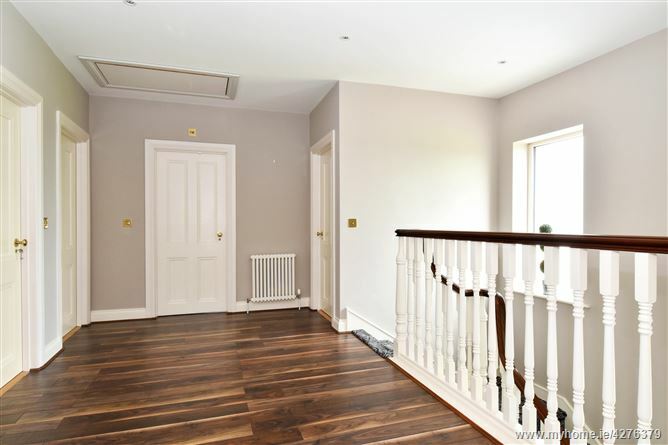 Hall: 21’5” x 16’5” (max) With wooden floor, ceiling coving & centrepiece, recessed lights, under stairs storage cupboard. 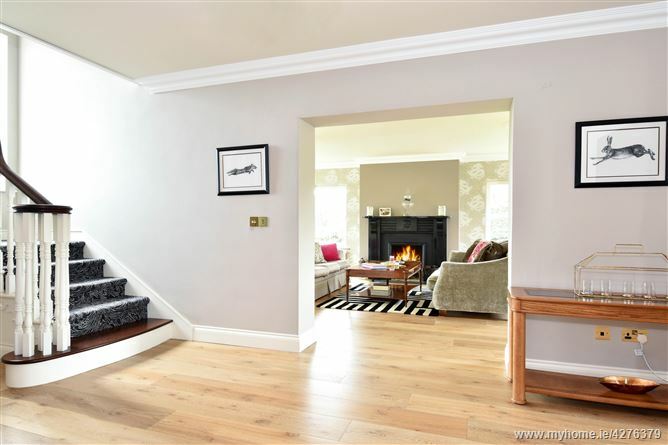 Living Room: 24’3” x 16’7” With antique fireplace, wide-plank smoked oak wooden floor, ceiling coving & centrepieces, French doors to outside. Silestone worktops, sink with ‘insinkerator’, corner window, integrated ‘Bosch’ dishwasher, ‘Stanley’ range, walk-in shelved pantry, tiled floor, recessed lights, sliding door to patio. 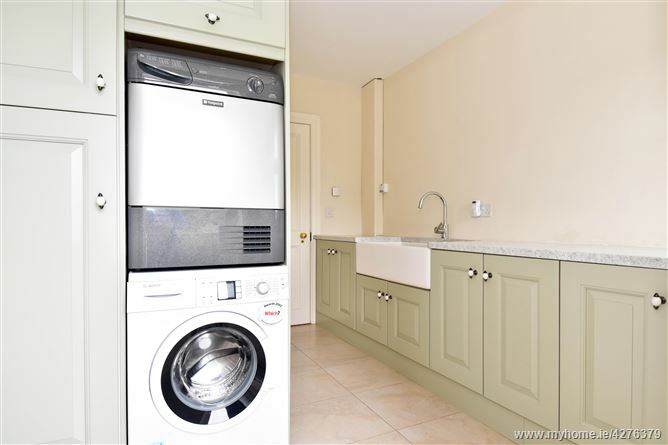 Utility Room: 11’3” x 5’1” + 6’5” x 4’3” Range of fitted units, ‘Belfast’ sink, tiled floor. Bedroom 1: 15’7” x 11’7” Carpet floor. 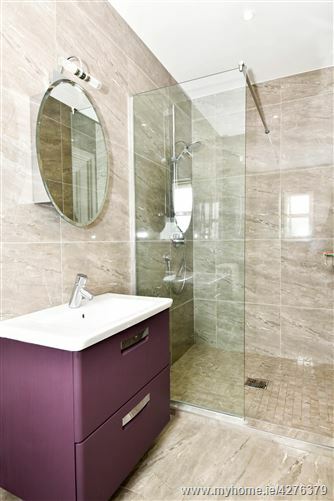 En-Suite: 11’2” x 4’8” Large walk-in shower, vanity unit with whb, WC, tiled floor, tiled walls, fitted mirror with overhead light, recessed lights. Landing: With recessed lights, pull down ladder to attic, walk-in hotpress. Master Bedroom: 17’4” x 14’9” Carpet floor. En-Suite: 9’ x 7’4” Large double walk-in shower, vanity unit with twin whb’s, WC, tiled floor, part-tiled walls, large fitted mirror. Dressing Room: 9’ x 9’6” Fitted shelving, hanging rails. Office:	7’7” x 5’11” With carpet floor. Bedroom 3: 15’7” x 12’3” With carpet floor. Bedroom 4: 15’10” x 12’10” With carpet floor, built-in wardrobes & drawers. Bathroom: 11’7” x 7’5” Large ‘Villeroy & Boch’ bath, wall mounted WC, vanity unit with ‘Villeroy & Boch’ whb, separate shower, tiled floor, part-tiled walls, recessed lights.